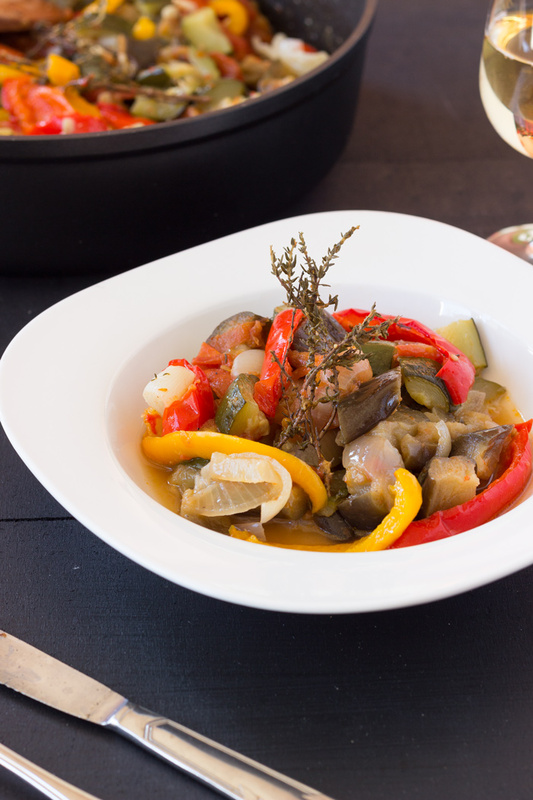 Ratatouille recipe by a French girl "cuisine"
I am sick for two weeks now… I still don’t really know what I got. I will call my doctor tomorrow. I hope that I will soon get an appointment or maybe feel better. Who knows? However despite of my cough, the sun is coming back in Lausanne and hopefully we can see the end of winter. I just take out my brown leather jacket today. As a result, for two purposes, bringing back the sun in my kitchen and trying to heal, I cooked a delicious ratatouille. Plenty of vegetables and vitamins to cure my illness. The smell of this dish brings me back home for a few instants. 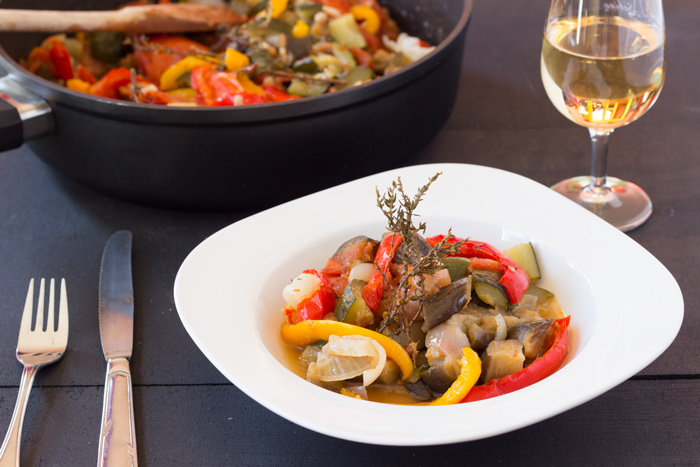 You can serve this ratatouille with some rice or with meat as well. Your choice to make. Wash and cut eggplants, courgettes and tomatoes. Reserve. Wash and seed peppers. Reserve. Peel and slice onions and garlic. 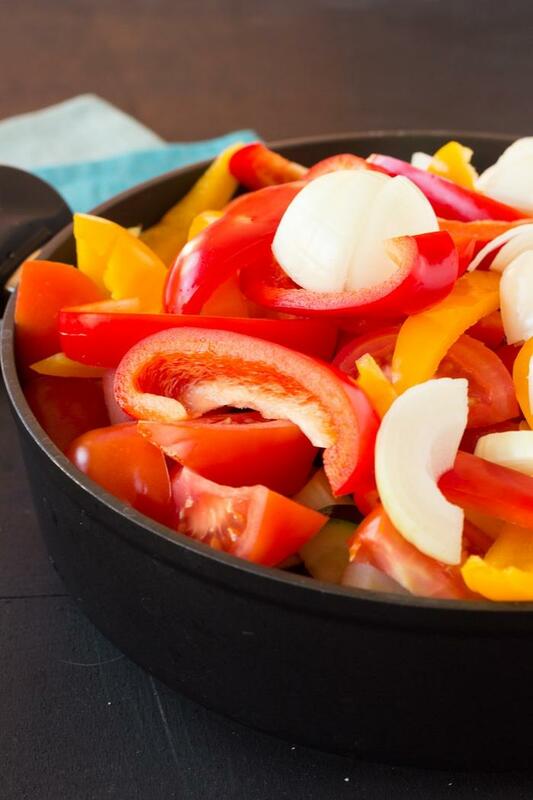 Heat olive oil in a large casserole dish. Add vegetables, salt, pepper, bay leaves, Thyme, Rosmarin and white wine. Cover and leave to cool on medium/low heat 50 minutes. Uncover and leave to cook until water evaporate about 30 minutes.